The Mobile Alerts app displays the current temperature and humidity readings directly on your smart phone and the readings are updated at seven minute intervals. 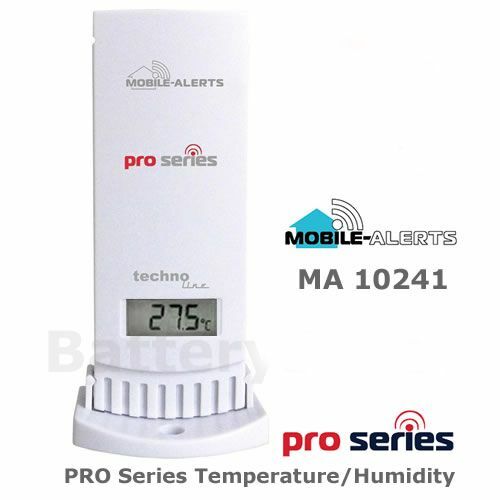 You can set minimum and maximum temperature and humidity levels to trigger automatic alerts directly to your smartphone if the user determined alert levels are reached. 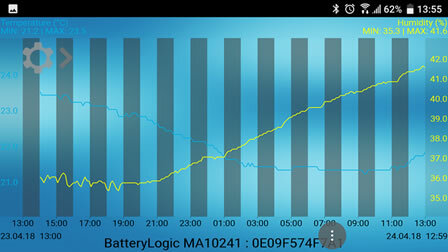 The app and gateway can monitor up to 50 sensors so adding additional sensors to the system is very straightforward..